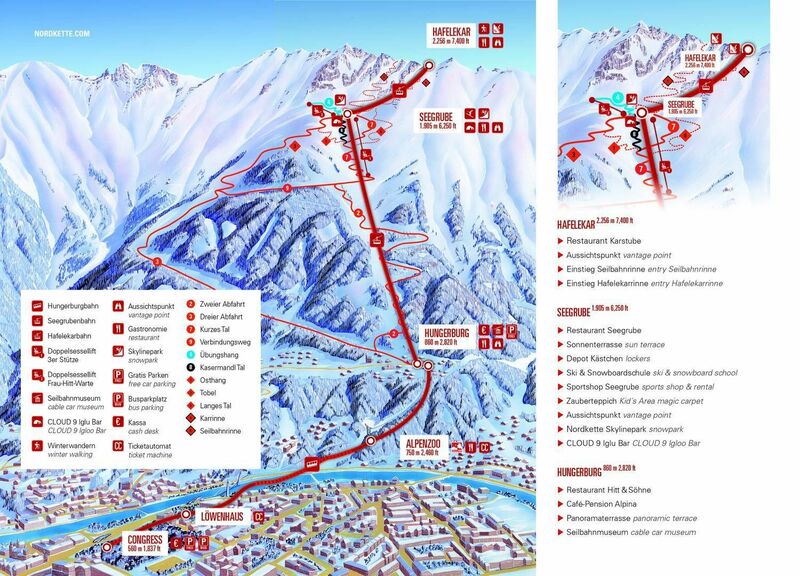 ...the largest recreational area close to the city of Innsbruck. Snowboarders will find perfect conditions - a 70% gradient, exceptional snow quality, and sunny slopes facing south make the area a snowboarder´s paradise. It also provides a marvellous view of Innsbruck - take a look at our live cam! Of course the Nordpark is also perfect for experienced skiers. Snowboarders will find perfect conditions - a 70% gradient, exceptional snow quality, and sunny slopes facing south make the area a snowboarder’s paradise. It also provides a marvellous view of Innsbruck - take a look at our live cam!